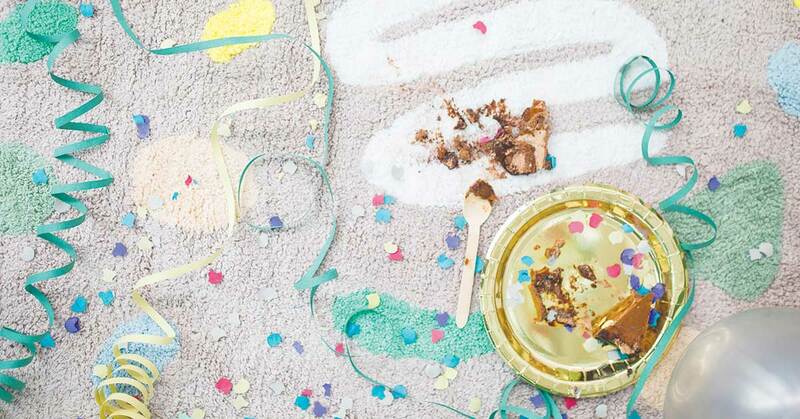 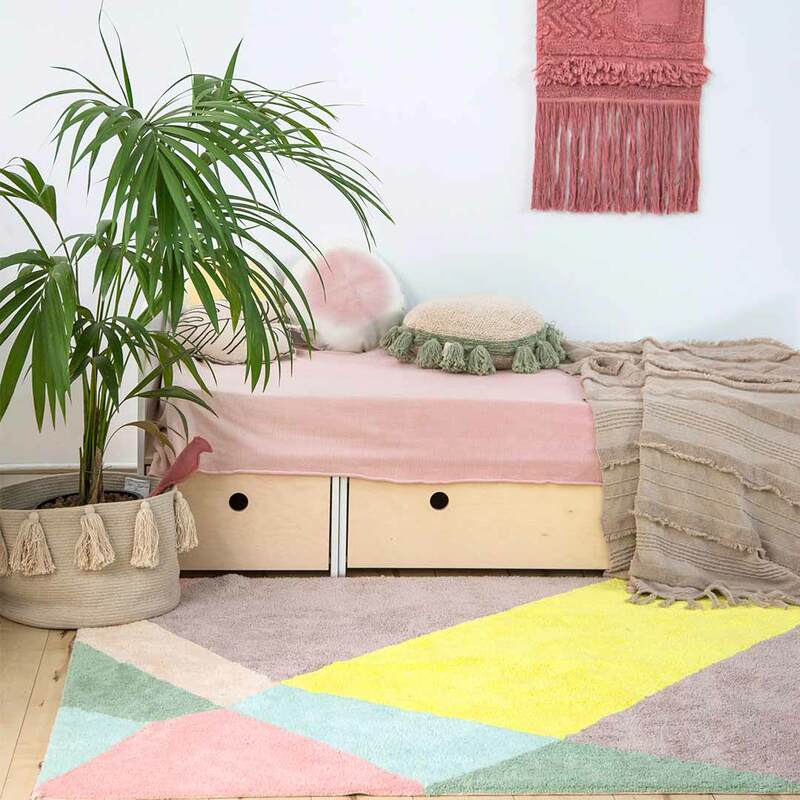 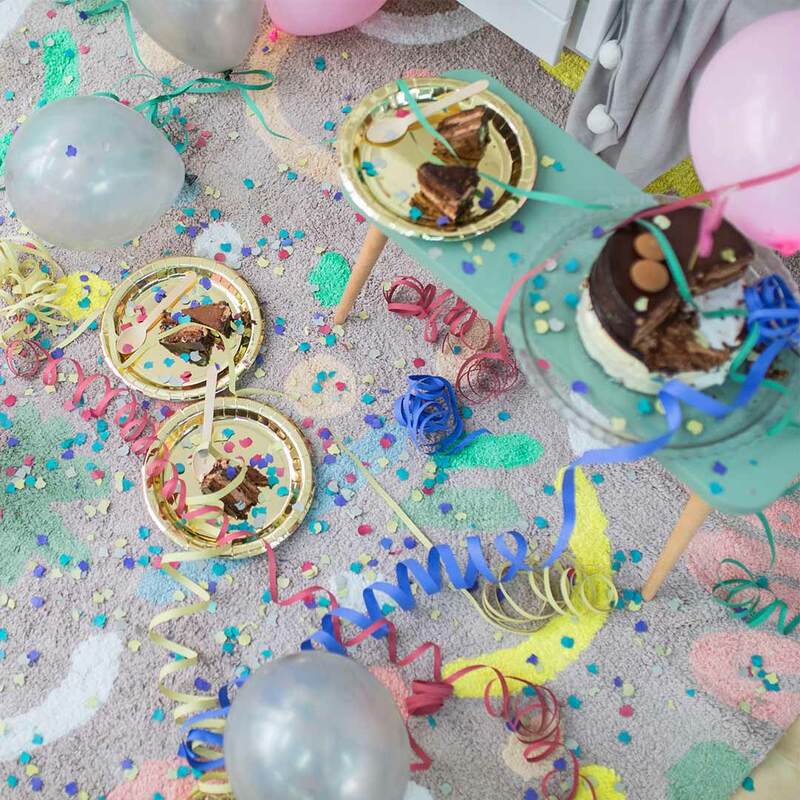 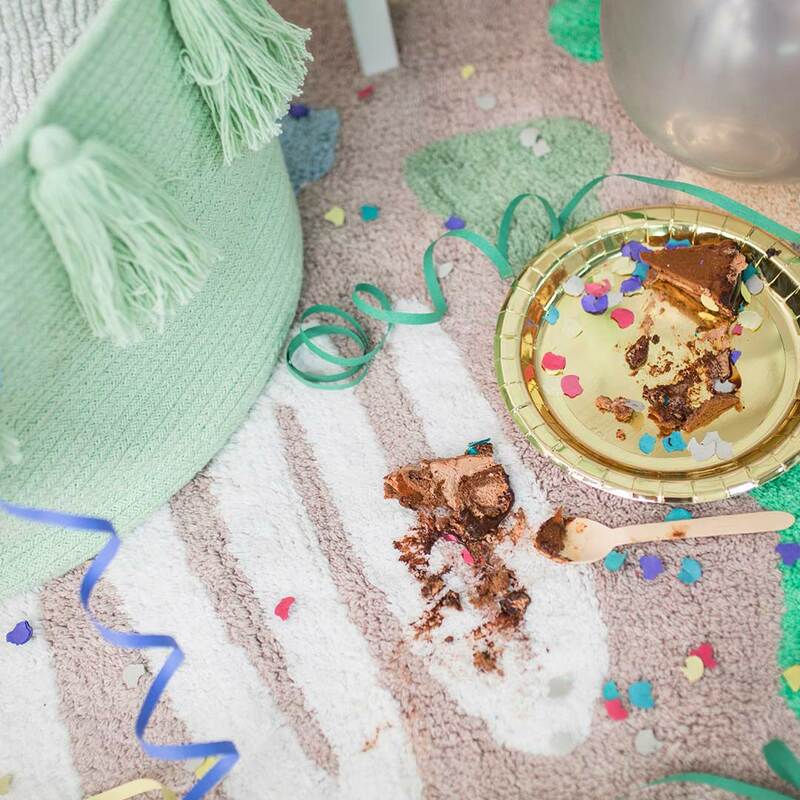 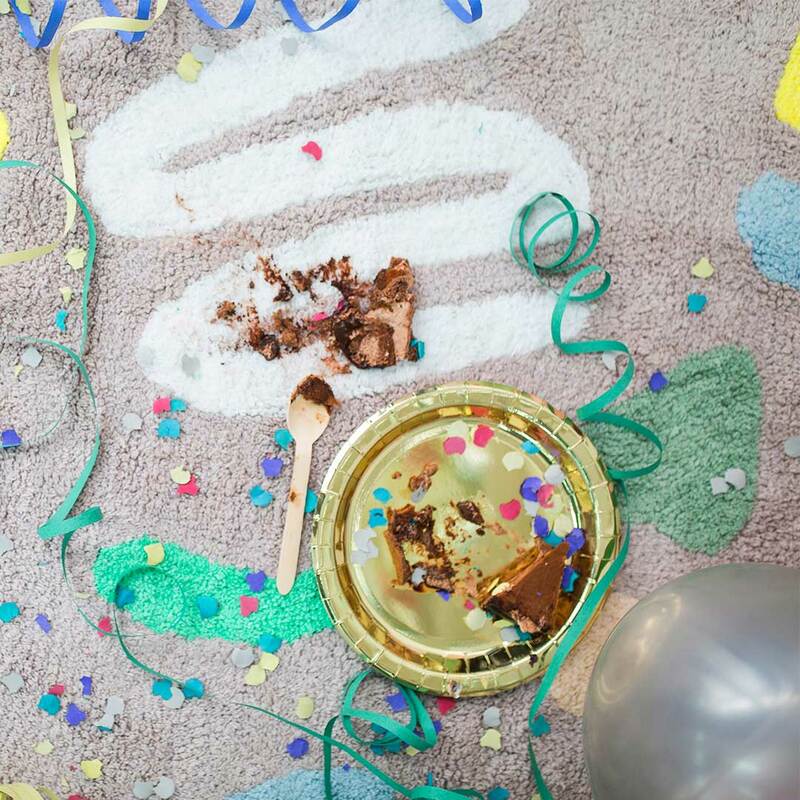 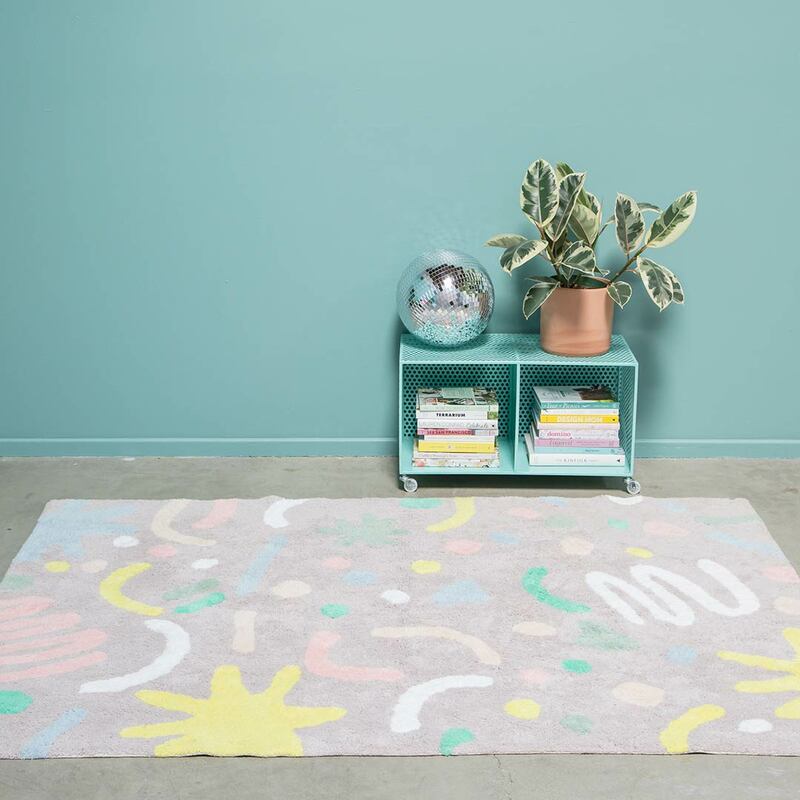 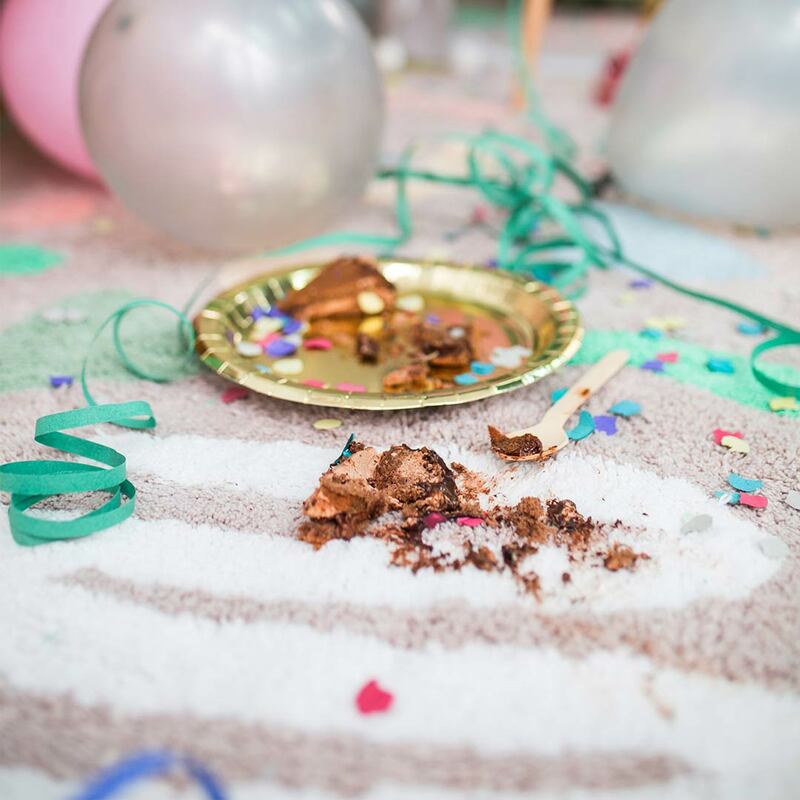 With the 100% cotton Happy Party Rug from the Oh Joy! 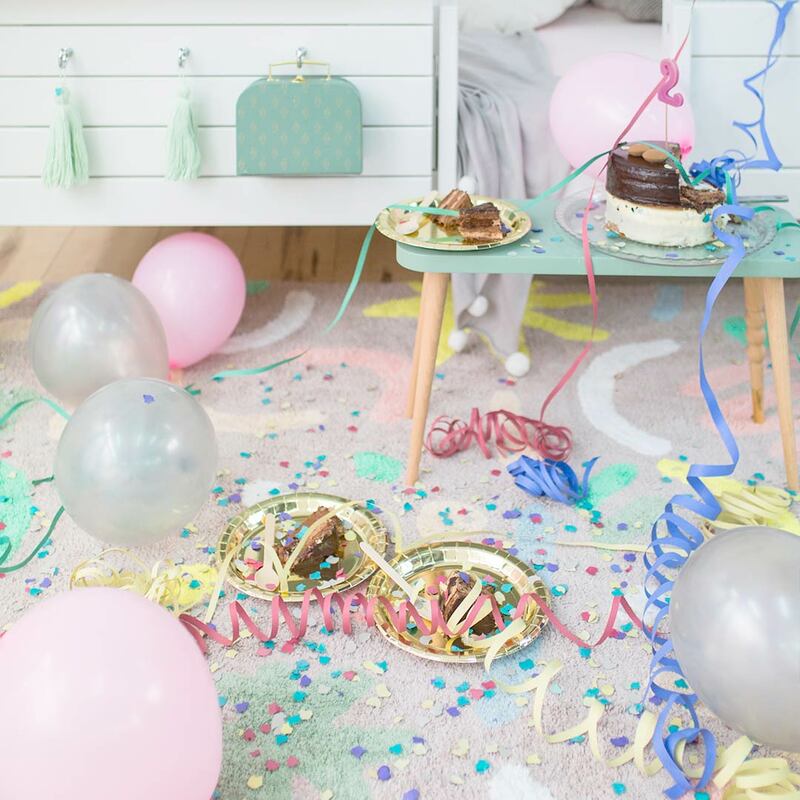 for Lorena Canals collection you will celebrate every day. 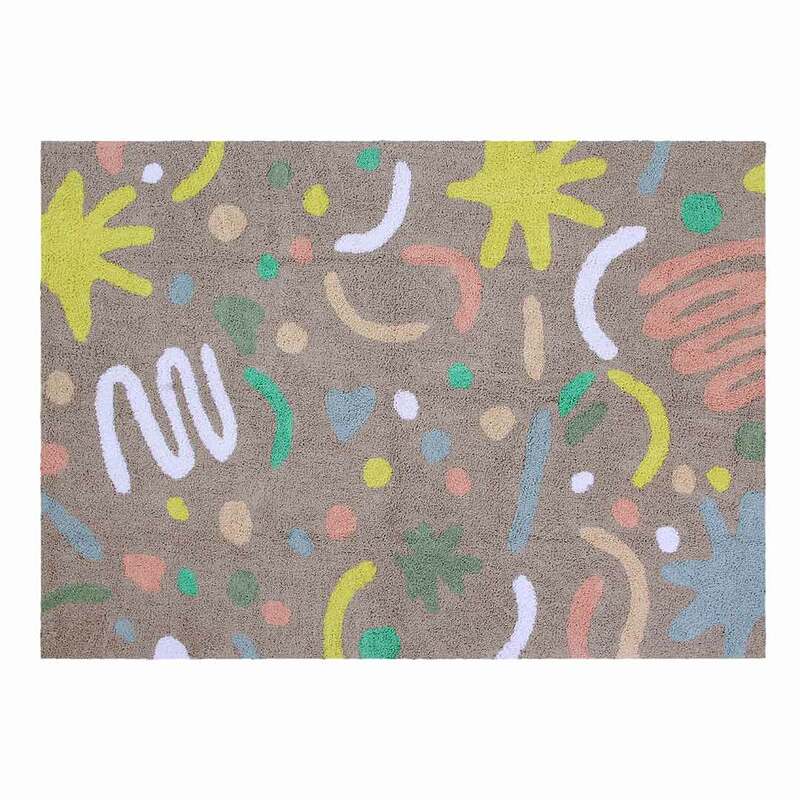 This delightful rug cannot help but spread the joy in absolutely any space. 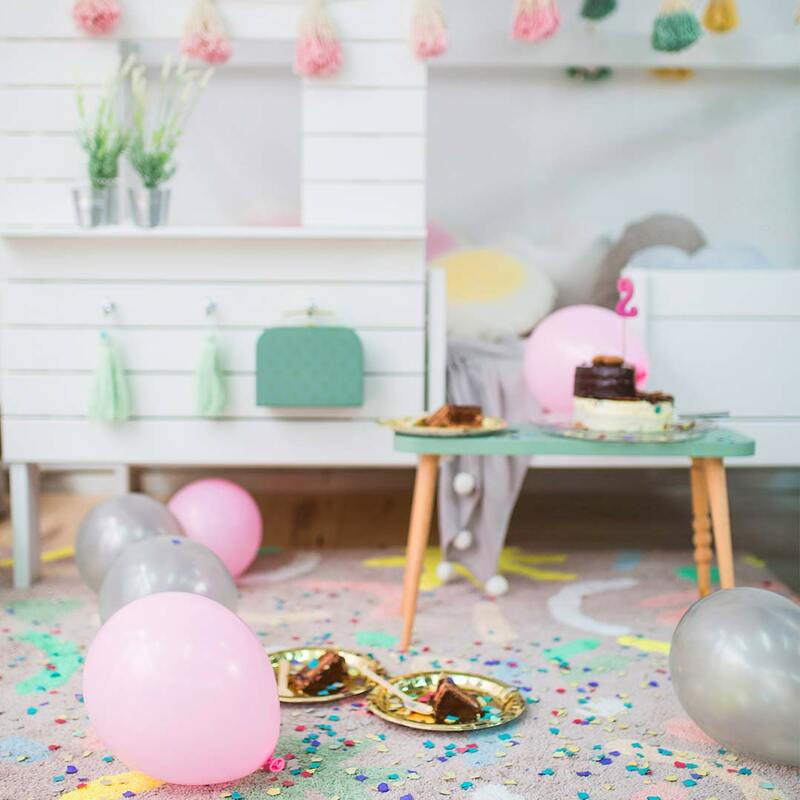 Whether in a play room, kids room or lounge, dance parties are sure to commence right here! 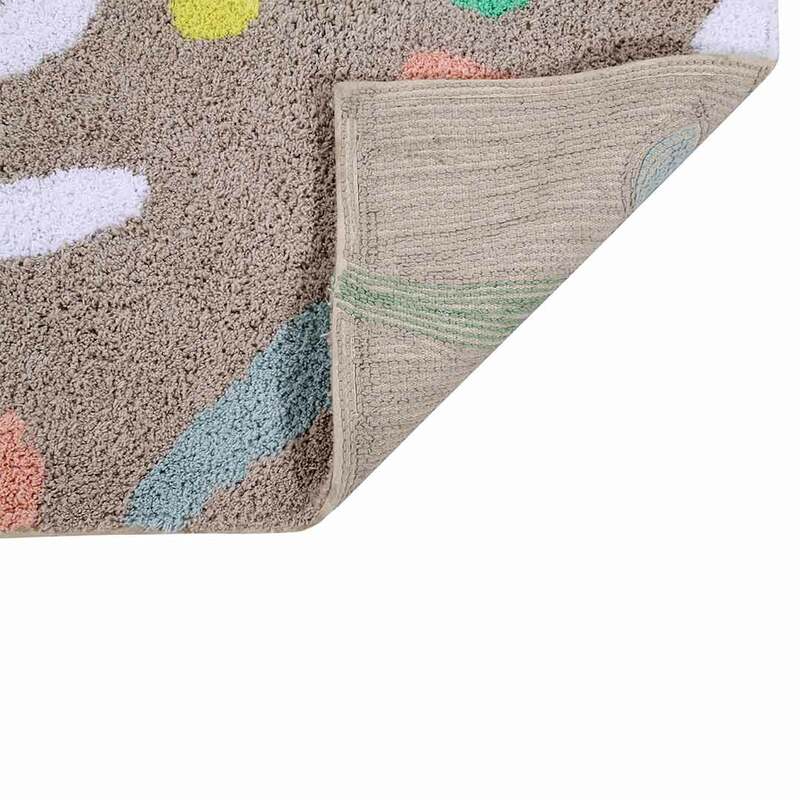 The cotton tufted rug has a rectangular shape with a warm grey base and multi-colour confetti design in a harmonious colour combination of pale blush, rose, sage, white, green, lemon yellow and blue. 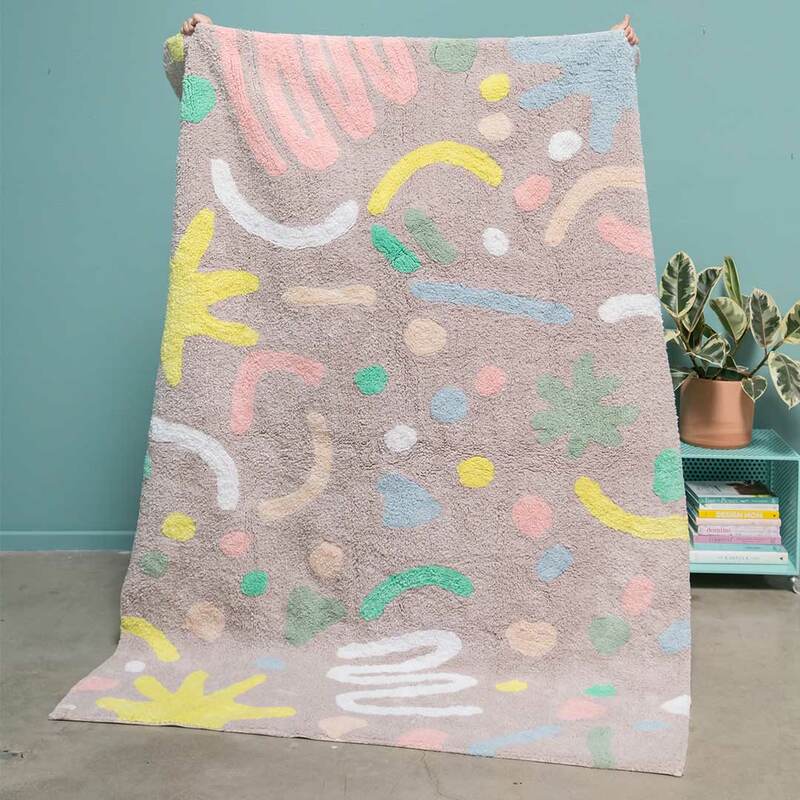 The famous US designer brand Oh Joy! 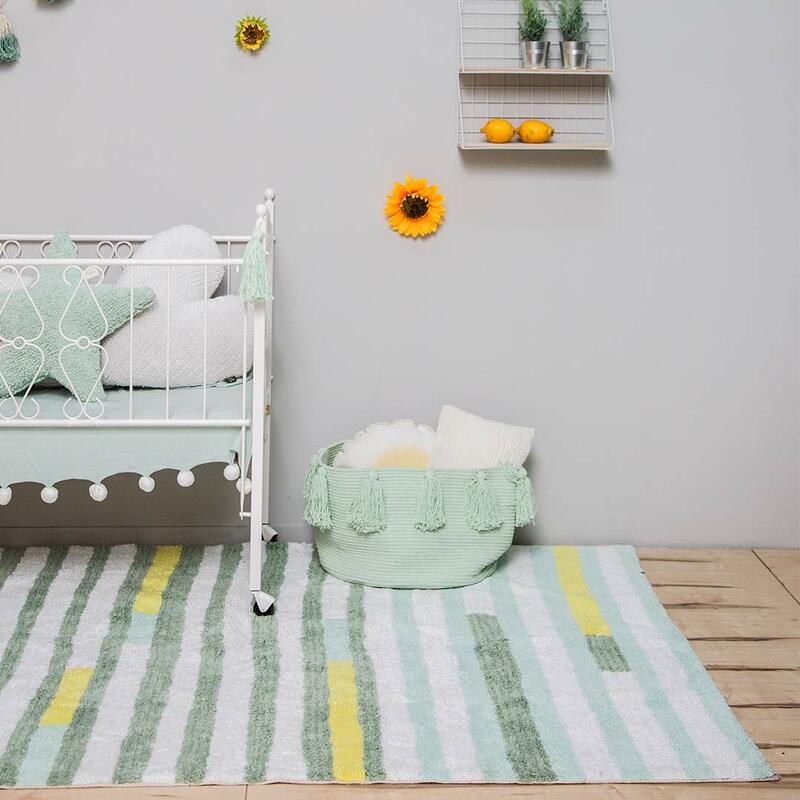 has created six original and exclusive designs for Lorena Canals. 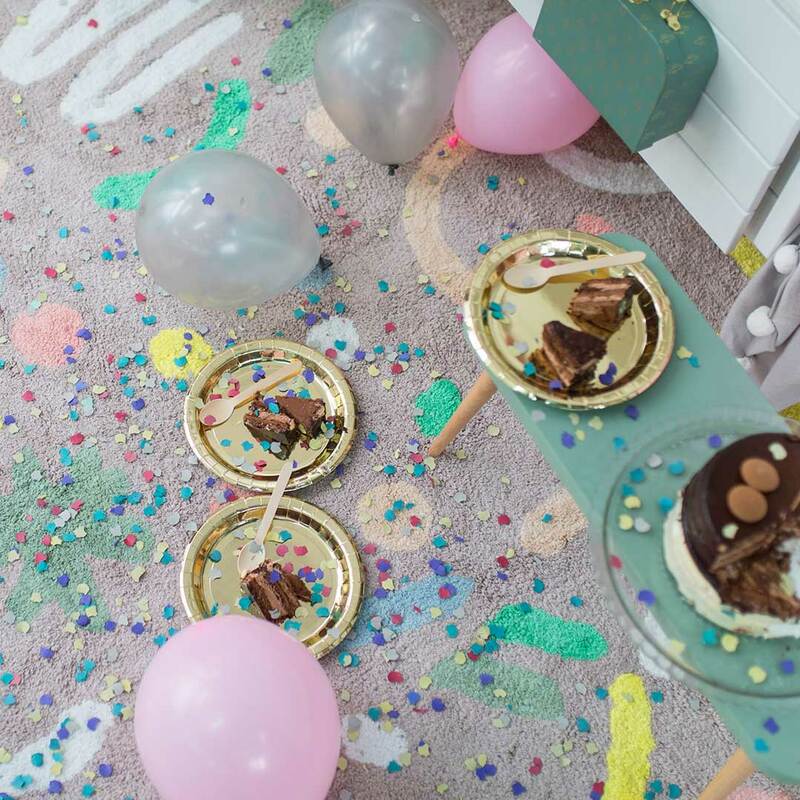 Full of colour and joy, from classic symbols such as stripes, clouds and flowers to a festive shower of confetti, the Happy collection designs aim to add a jovial accent that uplifts any space. 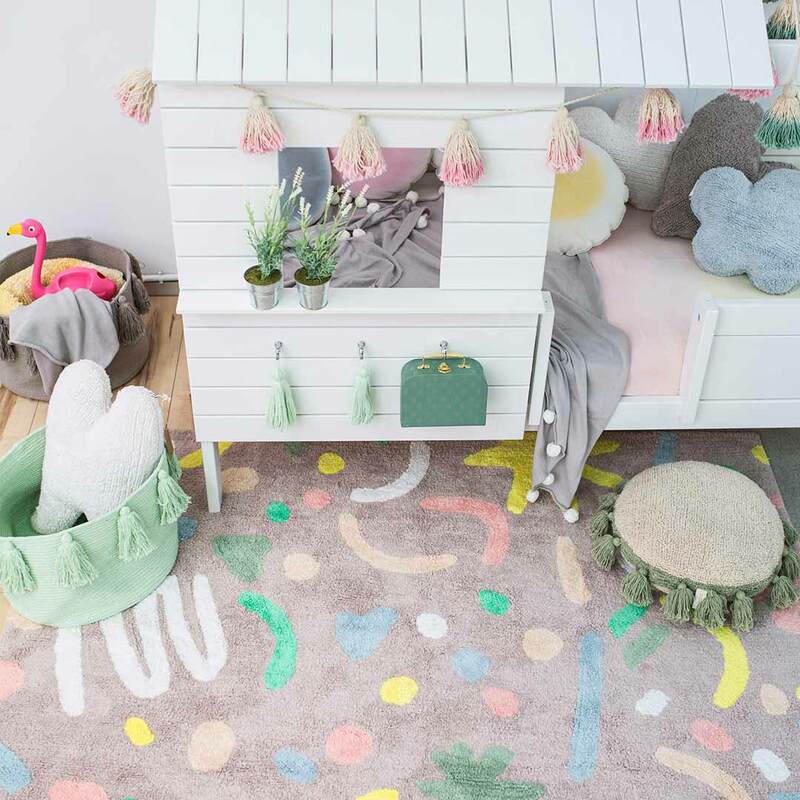 Cotton rugs allow your child (and you!) 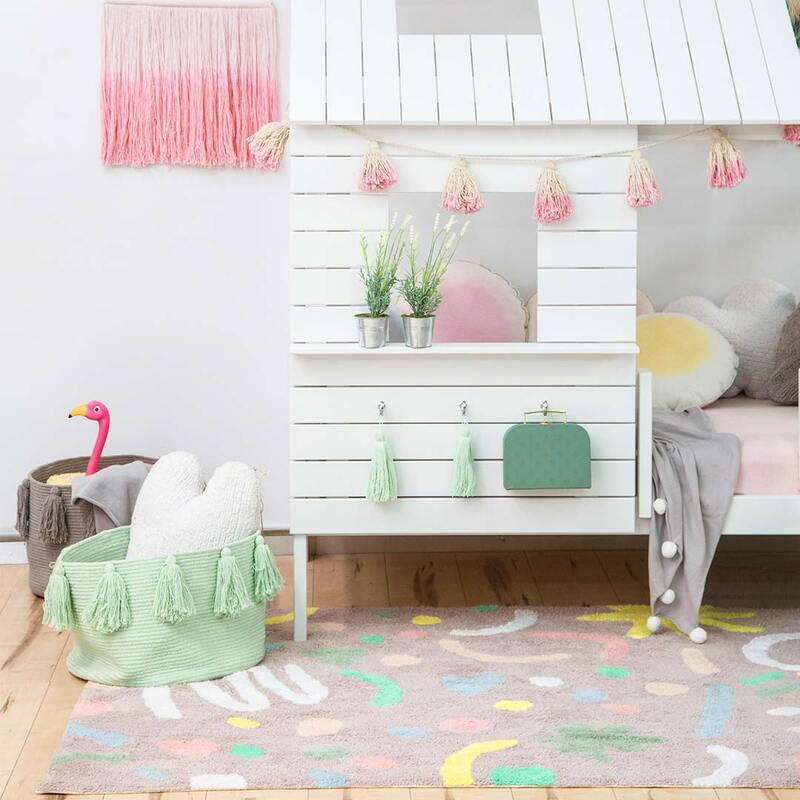 to spend hours of playing, reading and relaxation time on the floor in superb comfort and style. 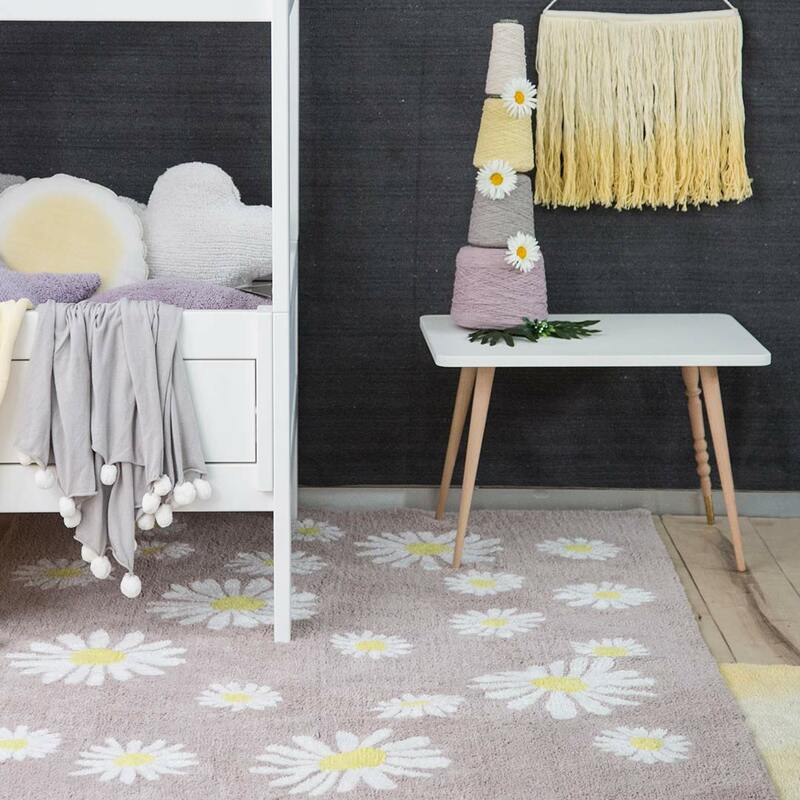 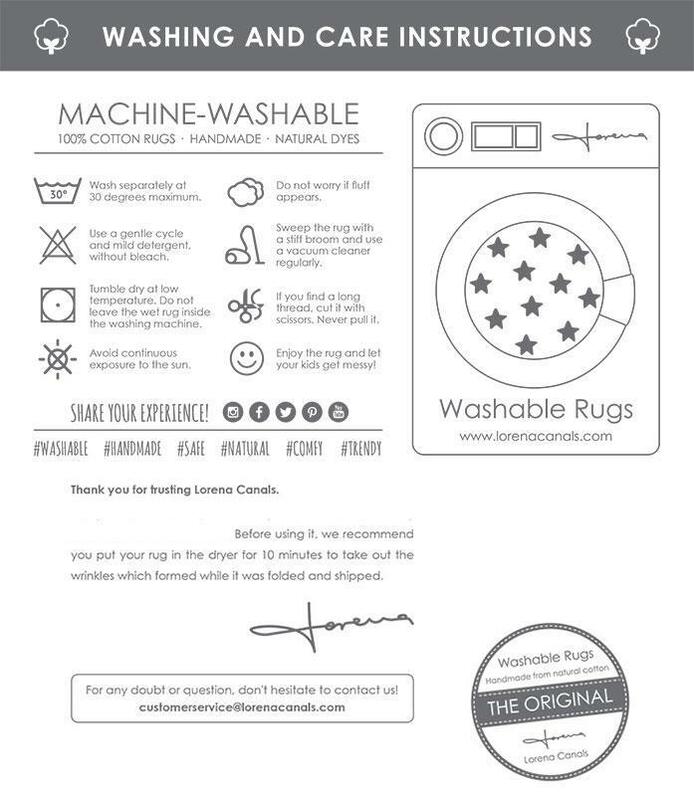 Lorena Canals revolutionised the rug sector by creating stylish and practical, 100% cotton, machine washable rugs, meeting the needs of modern lifestyles. 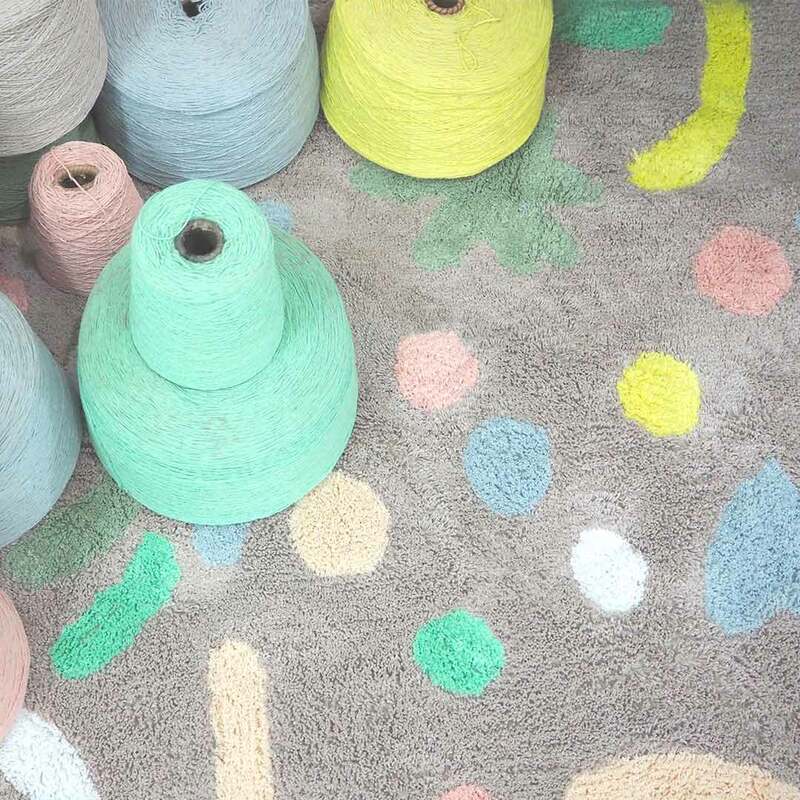 The brand prides itself on quality in every aspect if production, from using the finest raw materials and natural dyes to socially responsible labour practices. 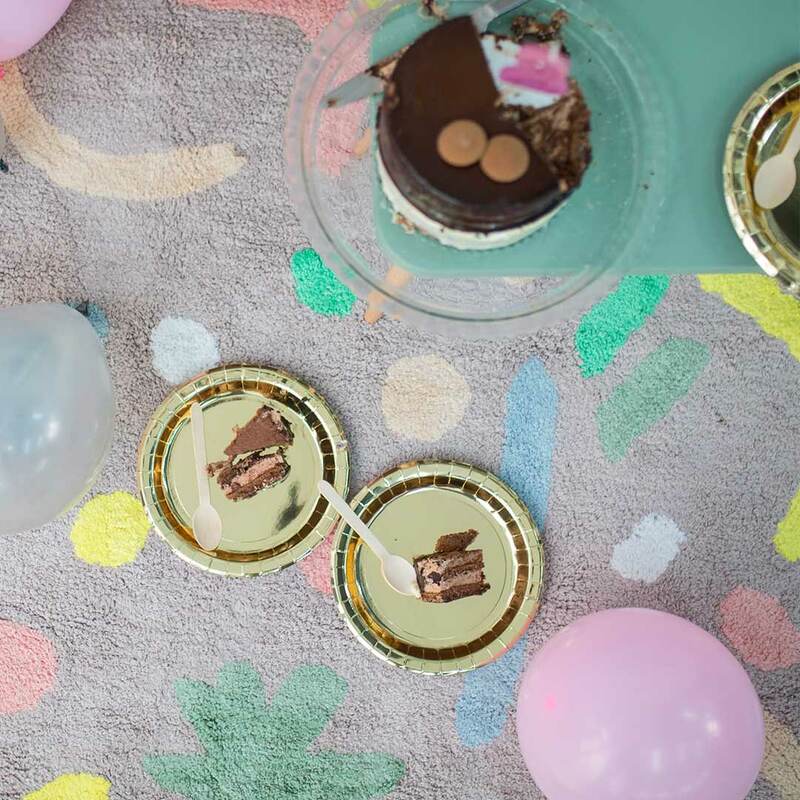 – Joy Cho, the designer & founder of Oh Joy!